In the past, I have admitted my admiration for those performing pediatric palliative medicine – the doctors, nurses and other healthcare professionals looking after terminally ill and dying children and their families. Looking through this updated second edition of Paediatric Palliative Medicine, I think my admiration went up another notch. From what started as a ‘little-person’ version of adult palliative care 20 or so years ago, it is now a highly specialized field focused on the medical and psychosocial problems seen in the pediatric population. The book provides a fairly comprehensive review of symptom management and the other aspects of medical care, and at the same time provides clear guidelines about dealing with all the psychosocial issues encountered with these young patients and their families. 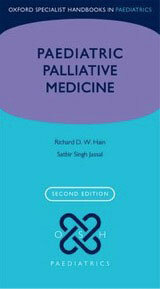 They have added a chapter on palliative medicine in the intensive care unit that includes very useful discussion of the potential benefits and pitfalls of invasive therapy; I liked the section on ‘advance emergency care planning,’ for which you could read ‘appropriateness of intensive care.’ It also stresses the need for a Plan B to follow if the expected does not occur, as might happen if a child who is extubated and expected to die continues to breathe. I could quibble about a few wrong page numbers in the index, but the table of contents and the comprehensive system of headings within each chapter make the information available. This small slim volume will fit comfortably in any pocket and its physical size belies the amount of information it holds and it seems to provide a very good and clinically practicable summary of the field. If you work in pediatric palliative medicine, or if the unit in which you work has more than a very occasional pediatric patient, you should probably have your own copy of this book for ready reference. I can also make a case that this book should be available on the library shelf in any pediatric ward, for easy reference when palliative care problems arise. When I reviewed the first edition, I provided a preamble to get the terminology straight: “Countertransference was originally described by Sigmund Freud as an unconscious process involving the arousal of the analyst’s unresolved conflicts and problems, which was regarded as an obstacle to treatment. But now, I am told, the definition has been extended to include the totality of feelings experienced by the clinician toward the patient, whether conscious or unconscious, and whether prompted by the patient’s situation or by issues in the clinician’s own life.” Understanding these reactions can be of significant benefit in palliative and end-of-life care; the alternative – to ignore them in order to be objective and personally uninvolved whilst offering compassionate care – is a largely futile exercise. The book is divided into a number of sections: Introduction, Special Issues in Palliative and End-of-Life Care, Special Populations and Settings, Social, Legal, Ethical and Organizational Influences, and Implications for Practice. 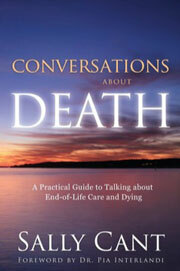 All but a couple of chapters are focused on issues related to palliative and end-of-life care. 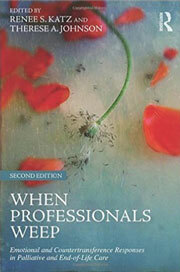 There is one chapter that stood out for me – The Seduction of Autonomy: Countertransference and Physician Aid in Dying. Written by two Australian psychiatrists, Brian Kelly and Francis Varghese, it is a careful examination of all the psychodynamic issues that may be involved in making and receiving requests for assisted dying; all the potential influences on what is going on in the patient’s head, the doctor’s mind, and all the interactions between the two (not to mention the family members, other healthcare professionals, and societal and institutional mores). Whilst assisted dying may have been debated at length on ethical, legal and moral grounds, examination of the innumerable psychological issues and interactions makes an absolute nonsense of yes/no attitude of our politicians towards patient autonomy and the right to assisted dying. 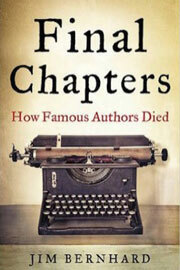 The last chapter or epilogue is by the former palliative care physician, Dr. Stu Farber, who died recently. It includes some moving insights into what it means to have acute myelogenous leukemia (AML) and interesting observations on how his treating doctors dealt with death and dying. In the introduction, it states this book is meant for the general public as a tool: to start those conversations about death and dying and to have a general understanding of what’s happening in the field of ‘death care.’ But I thought there was a lot more. She starts with a good discussion of reasons why you should have the conversation and the risks of not having it; I would have liked to hear a little more about how one might deal with poor or bad outcomes. The text is easy to read with a generous use of headings and lots of lists. There follows a quite comprehensive description of all aspects of end-of-life care, including the many options that ordinary people may not know about. 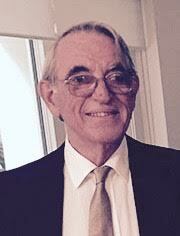 Palliative care gets a good airing, as well as some of its potential shortcomings. She discusses assisted dying, expressing the opinion that she hoped there might be greater individual autonomy when her turn came, but admitting that safeguards were inadequate or impossible at the present time. There is a good section about what happens after the death, which include a number of truths about the funeral industry and what your options are to get round them. Her chapters on grief and bereavement include lists of suggestions for self-care, which I thought could be very useful. Having provided all this extra information, she then revisits ‘having the conversation’. I think this book fulfils its goal and provides a large amount of information in a manner that could be understood by the average reader. For people who work in palliative care, it provides a pretty good catalogue of the problems that may occur and may help us better deal with them. There are a few small points that refer specifically to local laws, but the great bulk of the book is about human beings and how they interact with death and dying and is pertinent to any developed country. 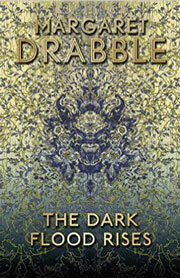 This novel by the distinguished English authoress, Dame Margaret Drabble, came to me as a gift. In it she describes the ins and outs of the end of life (or progression towards it) of a brilliantly realized cast of characters, including the mode of death, the timing of death, and all the things (rational and irrational) that we do to deny or at least delay what is inevitable. And for good measure, assisted dying gets a run as well. I particularly liked the discussion, centered on prolongation of life that is of questionable value or ‘artificial’, which culminates in the main protagonist declaring, ‘Longevity has fucked up old age.’ And she provides a good description, particularly from the point of view of quality of life and dependency, of what may happen when modern technology prolongs life. I thought people working in palliative care might enjoy this book, which deals with many of the issues we deal with on a regular basis. This book was reviewed in the Newsletter in March and I provided a short list of quotations as a taste of what was in the book. However, I failed to provide the promised answers as to which author the various quotations are attributed. Here they are. ‘Death is real, and dark, and huge.’ John Updike 1932-2009.